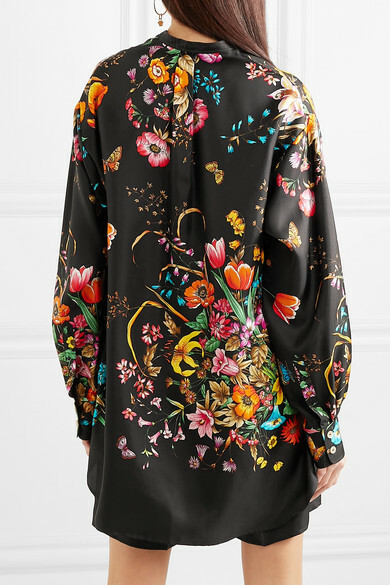 Alessandro Michele is an art aficionado who often sources emerging talent to work with via Instagram - that's likely why the vibrant print emblazoned across this shirt could be easily be mounted and framed. 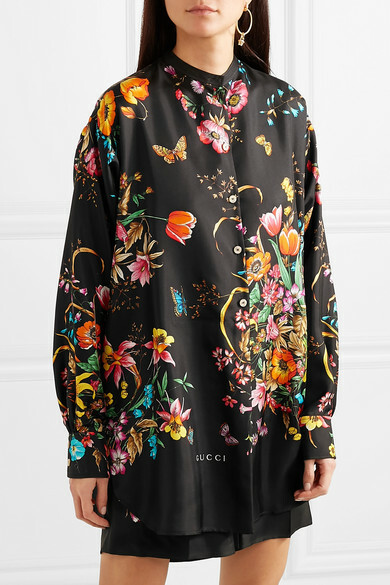 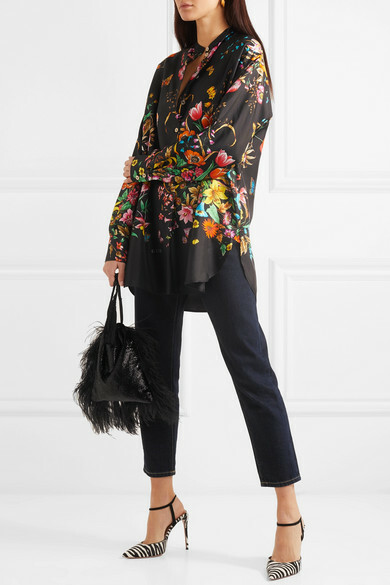 Made in Italy, it's cut for an oversized fit from silk-twill decorated with blooms, butterflies and logo lettering. 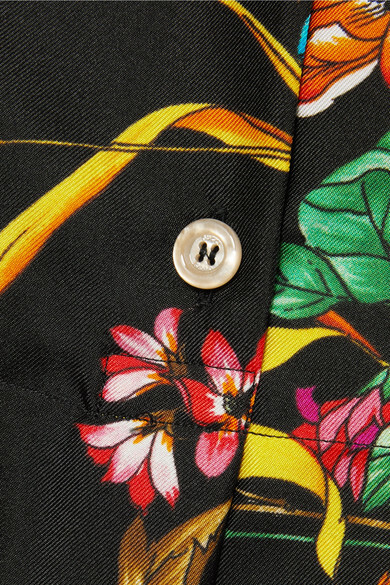 Style yours with the cuffs undone. 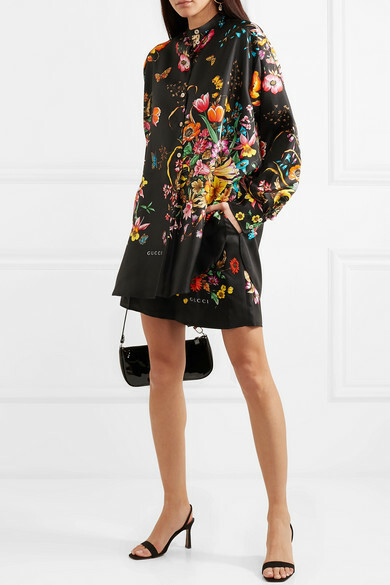 Shown here with: Gucci Shorts, BY FAR Shoulder Bag, BY FAR Mules.